In this WordPress theme review article, we provide a comprehensive analysis of the X WordPress theme by Themeco. Here, you will find everything you need to know about the X theme including its core features, design options, unique characteristics, and key performance metrics. A highly-rated premium WordPress theme is one of the best value-for-money investments you can make for your website. Professionally developed and designed websites can cost thousands of dollars. However, with a premium WordPress theme, you’ll be able to create a beautiful, modern, responsive, and functional website at a fraction of the cost, provided you choose the right theme for your project. So, without further ado, let’s get started with our comprehensive WordPress theme review of the X theme. To access a discount on the X WordPress theme when available, or to access discount hosting follow the links below. Beautiful and modern demo sites with a one-click demo importer. Can be slightly confusing at first. Extensive integration with 3rd party extensions and plugins. In terms of design and functionality, we are pleased to report that the X theme knocks it out of the park. With virtually endless possibilities to choose from, the X theme provides a solid foundation for whatever type of site you want to create. From a design perspective, the X theme ticks all the boxes. It comes with a decent variety of great demo sites that are excellent starting points for different niches or website structures. Their standard demos keeps things simple, giving you access to a number of design settings that you can apply to your content. On the other hand, the Expanded demos leverage these settings and import all the demo content to re-create any of the entire demo sites included with this theme. It doesn’t stop there. As great as these demos are, you probably want to customize them to a certain extent to make them your own. You can do this to your heart’s content using either the powerful front-end Cornerstone page builder, their user-friendly customizer, and/or theme settings. Themeco likes to call the X theme ‘the most feature-rich WordPress theme on the market for 2018’. Whether this is true or not is up for debate. However, we can confirm that they are a solid contender for the top spot in this regard. The theme is brimming with functional elements, extensions, and integrations to ensure that you don’t have to compromise on any essential features. We already mentioned the blockbuster feature, a powerful front-end drag and drop builder called Cornerstone. Some of its other notable characteristics are seamless Woocommerce integration, comprehensive shortcode library, plenty of site layout options, and automatic updates and extension installations. With every purchase of the X theme, you are entitled to over 20 premium plugins created by both Themeco and 3rd party developers to take your site to the next level. This is on top of the 20 recommended plugins that seamlessly integrate with X already and are entirely free. The hallmark of a good theme for a photography website is one that can be incredibly stylish without upstaging your pictures. This is evident on the Owen Billcliffe photography website where it’s clear that the images come first. You probably didn’t expect to see a bio-decontamination website on here. However, this one is far too interesting and well made to skip over. Here you can see plenty of X’s elements and layouts in action, showcasing the flexibility of this theme. A firm that offers digital marketing and web design services better have a great site. For halfGenius, X really delivers. It’s a very appealing, simple, and modern website that is both stylish and professional. Perfect for an industry where first impressions matter. It’s not enough for a premium WordPress theme to come with striking demos and meaningful demo content. You want your website to be 100% unique and represent you, your business, or project in the best light. To that end, a premium WordPress theme needs to provide you tools that make it easy, fast, and intuitive to customize your site. The X theme offers multiple avenues for doing this, with little or no website design experience required. All you need is a good eye for detail, some time, and the willingness to experiment. Everything else is taken care of for you. An interesting and unique feature of the X theme is that you can switch between the theme options, customizer, and page builder with just one click. Anyone who is comfortable working with the standard WordPress theme customizer is in for a treat. X built their theme options panel to work in the same way and look like the WordPress customizer. The great advantage this provides over other themes’ settings panels, is that you can view your changes in real-time. You don’t have to keep switching to another tab to see how your theme settings affect the look and feel. Templates: Here you can manage all your templates by importing or exporting them. Global blocks: This is a unique X-concept. You can build “blocks” of content by arranging certain elements together. You can then drop this block onto various pages. Colors: On this panel, you manage your theme-wide colors like your brand and link colors. Fonts: This is where your Font Manager is located that allows you to create preset fonts that you can then use anywhere. Options: This is where the bulk of the theme-wide settings are located for the X theme. You can find anything from your stack settings, to layout and design settings, to site icons. It works like a combination between the customizer and the theme settings that you usually find with premium themes. Content: Going to this option will let you quickly switch between the pages and posts on your site to see the changes in action. It might feel a little strange or unfamiliar at first not having a traditional theme options panel. However, once you get used to doing it this way, there is simply no going back. It’s powerful, it’s quick, and it’s intuitive. You can already make sweeping changes to your site using the theme options. However, for everything else, there is the X customizer. They have added some extra settings to the default WordPress customizer to account for the added design possibilities. The rest is very standard, and it’s safe to say you won’t need too much guidance on using them. The team at Themeco have really thought of everything when it comes to X. There are shortcodes for just about every element with a number of variations. The list of shortcodes is bolstered once you install all the additional plugins and extensions – you don’t have to worry about ever experiencing FOMO with X. Shortcodes are also styled according to their stack which means you will have elements that feel tailor-made for whichever stack you choose. The X theme demos are split into two types: Stacks (or Standard Demos) and Expanded Demos. Stacks are basically demo-sites without any demo content that have a particular layout and site architecture, but with subtle individual styling. Each also comes with its own unique features. Integrity for a business or professional website. Icon which is meant to be a minimalist design for a site or blog. Ethos is perfect for magazine style websites with plenty of content. The best thing about all these demo sites is that you can effortlessly use them through the X theme’s one-click demo importer. You just select the demo site or Stack you want, click ‘Setup Demo Content’ and wait while X takes care of the rest. Cornerstone is a drag and drop builder that’s developed in-house by Themeco. As such, you can expect the same level of ease of use and power that characterizes the X theme. It’s a Frontend-only page builder which may seem like a possible letdown if you prefer working in the backend, but is actually a smart move once you see how it works. Themeco took a very different approach to their page builder than most other theme developers. Instead of using pop-up screens to add and edit elements on the page, it comes with a sidebar that fulfills all of these functions. What’s nice about this approach is that these pop-up windows never obstruct your view of the page. You also drag in elements from the left-hand menu on to your page. By using the tabs at the top of this menu, you can quickly switch between managing layout templates, adding elements, and editing elements in the inspector. The same options to add custom CSS or JS and view the site on a mobile-sized screen are also available. There is also an option to switch your drag and drop view so that it functions more like a backend editor where all the elements are displayed as nested boxes. This is an awesome tool if you get lost in the organization of elements on your page. It’s so easy to get distracted by all the pretty designs and bells and whistles that ship with the X WordPress theme. Luckily, we have taken it upon ourselves to review the most important performance metrics of the X theme so that you don’t have to. Internet users can be very fickle and picky when it comes to which sites they deem worthy of their time. If your site takes too long to load, they will bounce right off and go to the next best option. On top of that, page load speed is also an important search engine ranking factor for Google. The X theme scores a very respectable 7/10 when it comes to page speed. It’s impressive considering everything that is packed into this theme. The developers have avoided redirects and minified their HTML, but the theme could benefit from minified CSS and JS as well. You want a theme that gives you an SEO boost so that you can rank faster and have decent visibility right off the bat. The X theme comes fully optimized for the Google, Bing, and Yahoo search engines out of the box. The entire theme is built using the latest semantic HTML5 markup to help web crawlers hash out the structure of your site and determine its relevance. However, we recommend you install the 3rd party Yoast SEO plugin for more control and better results. Themeco took mobile responsiveness extremely seriously with the X theme. To ensure that you are always able to quickly and easily make good decisions for mobile, you can view the mobile version of your site at any time in both the Cornerstone builder and the theme options. The X theme comes with in-house premium support services from the Themeco team. This is good news because it means that you will get help straight from those who know it best. You can even contact them for some pre-sales support if you want to clear a few things up before purchasing the theme. If you like to try and solve problems yourself, you can visit the dynamic user forum and the comprehensive knowledge base. The X theme is very popular, and chances are someone has met (and resolved) the same issue you may end up facing. They also have a YouTube channel where you can find updates and short explanations of new features. Like so many other premium themes, the X theme is sold on the Envato marketplace via ThemeForest. This is the go-to place for premium WordPress themes. Themes are always quality checked by Envato themselves so that only high-quality themes make it onto the market. Support staff that are available to answer your questions and assist you with bugs and issues. Help with 3rd party extensions and add-ons. For a small fee, you can extend this support to 12 months. You can also purchase the X theme on an extended license if you want to use it in a product that you will sell to an end user. It’s hard to summarize everything that the X theme has to offer. Without a doubt, it’s one of the most comprehensive premium WordPress themes out there if you take into account all it’s customization options, the Cornerstone page builder, demo sites, and other features. Plenty of unique features set it apart from the competition too such as the customization options, the ability to use global blocks, and the concept of ‘Stacks’. So, if you are not afraid to try something a little different that doesn’t mean you need compromise on style or features, then the X theme is for you. 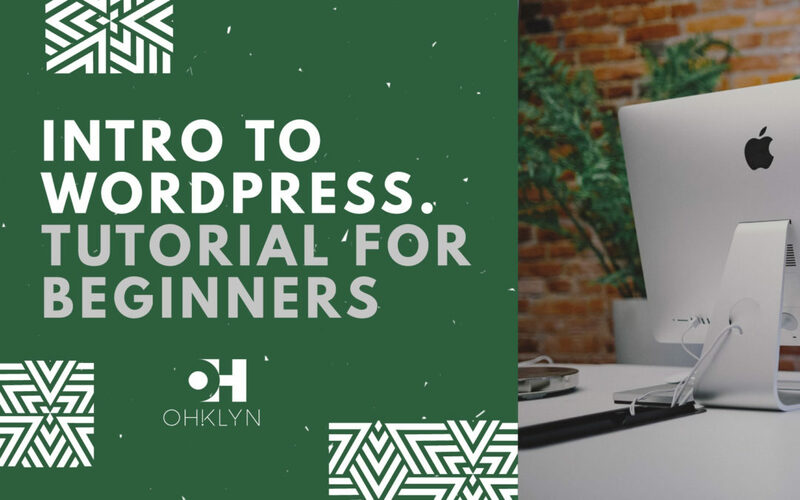 We recommend hosting your WordPress website on Bluehost, who is an affiliate partner of OHKLYN, and for those who are part of the community, you can access discount hosting via the link above. If you want to upgrade your hosting solution, for a premium option we would recommend using WP Engine to overcome any site speed concerns using this theme. Once again, access a discount via the link above.